"Never Compromise! Never imitate! Use every inch of the leather! These bedrock fundamentals of leather craftsmanship remain unchanged by time. such is the nature of the spirit of a craftsman. such a direct relationship, the craftsman worked with a high degree of responsibility and strove for perfection in order to instill confidence in his customers. A solid mutual trust between the two was imperative. 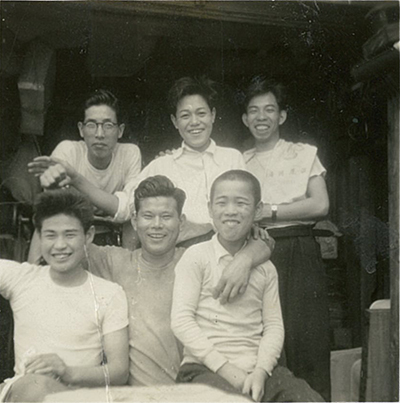 This was an era of direct face to face contact between customers and craftsmen and most customers were the residents of downtown Tokyo. Experienced craftsmen blended traditional techniques with new technology to produce products of the highest quality and caliber. 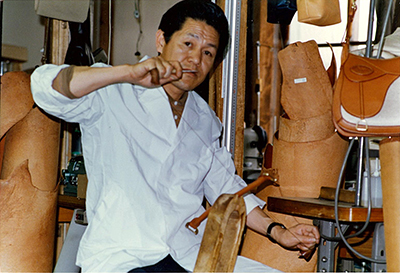 This was the last, and arguably the best, era of traditional leathercraft in Japan and it was in this era that itagaki learned his craft. The trend of mass production which took over Japan in the 60s ushered an era of mass consumption. continued to enjoy favor and popularity for a time as the economy was flush and people spent generously. the spirit of artistic perfection gradually waned. Over time the tradition of leather craft began to rapidly fade, and the craftsmen who strove to keep it alive all but disappeared. 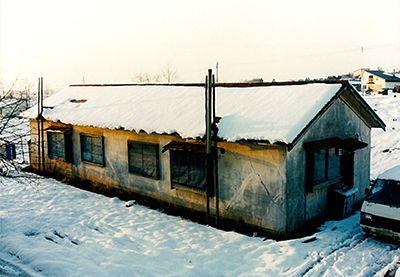 Itagaki emerged as a pioneer amongst the few who remained. He joined Samsonite Corporation, an industry leader in the manufacturing of mass-produced suitcases. As a member of the development team, he was instrumental in Samsonite's robust design, which earned it the title of "unbreakable"
and also added a caster at its base which allowed it to be wheeled rather than carried, a breakthrough innovation at the time. This remarkable design was a hit with customers and Samsonite products began flying off the shelves. a time when Itagaki was riding the peak of his own career wave, that he first envisioned founding his own company. such is the nature of the spirit of a craftsman", had always been his guiding philosophy. It was a philosophy that was finally embodied in the establishment of "Itagaki Co. Ltd."
Create a unique vision. Keep your finger on the pulse. and technology and crafting the highest quality products. for your product from start to finish. must procure and care for the material, must use cutting edge technology knowledgeably and responsibly to suit his own purpose. To build relationships built on mutual trust facilitated by face to face interaction between craftsman and consumer. These are the founding principles by which Itagaki's timeless products are crafted. At the age of 15, I began my apprenticeship under a leather craftsman in downtown Tokyo named "Rentaro Yagi"
I have been making bags ever since for the past 61 years. I moved to Hokkaido in 1976. Itagaki was founded in 1982.
the "spirit of a craftsman" and leading edge technologies, Itagaki continues to produce leather bags of the highest quality.